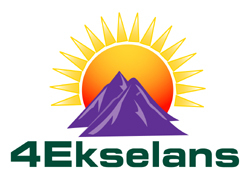 In John 1:6, we read, "There was a man sent from God ... "
4Ekselans School of Ministry is a leadership training institute that was organized under the direc­tion of the Holy Spirit for the express purpose of pro­claiming, through preaching and teaching, the good news of the gospel of the Kingdom of God. The School is a Spirit-driven school where students encounter God in new ways and develop greater spiritual intimacy with Him. Students learn how to walk in obedience to Biblical revelation and extend the heart of the Kingdom of God by living out the values of the Kingdom. We emphasize classroom instruction, sound scriptural understanding, and hands-on training and experience. The School is an opportunity for those desiring to be used of God to be practically equipped for life and ministry. We have now been blessed to open a new session. We truly believe the Holy Spirit will stretch the faith of these students and is going to produce a rich harvest of spiritual leaders for God’s glory and to advance the Kingdom of God. We are thankful for each one of our students. We prayed much that the Lord would send those of His choosing to be instructed and trained for effective ministry. Although we have students of different educational levels with some already actively involved in ministry and others preparing to be, the primary requirement is that they are hungry to be a true disciple of Jesus. In John 1:6, we read, "There was a man sent from God ... " The key to evangelism that results in making disciples of Jesus is that "man or woman sent from God." God uses men and women for the fulfilling and perfecting of His eternal purposes. That man or woman should feel that he or she is a person of destiny: God-called, God-ordained, and God-sent. With this in mind, it is our desire to entrust the truths and principles found in God's Word to reliable men and women who will also in turn be qualified to teach others. They are called to equip authentic and devoted disciples of Jesus who have a burning desire to love, serve God, and impact their world. They will also have opportunities to release what they carry through missions. It requires approximately four years for completion of all the courses of study. Please pray for our students. We need committed Christian leaders to lead revival in Haiti, to teach about the Lord Jesus Christ, and preach the Kingdom of God. Over all the many years I’ve served in Haiti, we have never had a vehicle. The absence of reliable transportation has limited us in so many ways. We have passed on numerous ministry opportunities, sometimes after dark, simply because transportation was either unavailable or inadequate. Yet, our leadership team envisions expanding our leadership training, services, and ministry to other towns. We need a reliable 4-wheel drive vehicle that can handle rough terrain and mountainous roads. 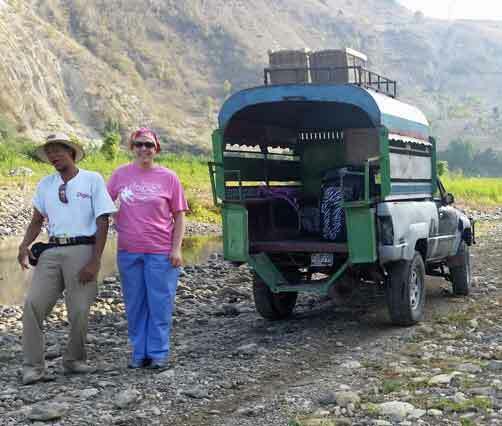 Whenever we have teams or wish to travel to more remote areas, we have to rent vehicles and drivers, which tends to be very costly – usually around $150 USD per day and that’s if we can find a chauffeur who is willing to stay with us. When traveling out of the country, ground transportation for the airport is $300 round trip. That’s more than some airfares in the U.S.! This one facility provides space for our offices, Leadership Institute, School of Ministry, World Languages Institute, church, kindergarten class, staff housing, special events and seminars, and sometimes even a clinic. This need is urgent! We appreciate any help we receive. Thank you! Please note: Our website is presently down and in the process of being rebuilt. Please mail donations to: PO Box 2795, Cedar Park, TX 78630. Or click on the link above to use PayPal.